The ability to understand facial expressions is an important part of nonverbal communication. If you only listen to what a person says and ignore what that person's face is telling you, then you really only have half the story. Often, words do not match emotions, and the face betrays what a person is actually feeling. If you suffer from social anxiety disorder (SAD) you might have a hard time paying attention to facial expressions. You might have trouble with eye contact or read too much into negative expressions on other people's faces. Although it is important to pay attention to facial expressions, remember that knowing the emotion doesn't tell you the cause. If someone seems bored, upset or disinterested it could be for a number of reasons – and have nothing to do with you. The value in understanding facial expressions is to gather information about how the other person is feeling and guide your interaction accordingly. If someone appears disinterested she might just be tired, and it might be time to end the conversation. Below are five tips to help you better read the facial expressions of others. Research by Dr. Paul Eckman tells us that there are a handful of universal facial expressions that cross cultural divides; even blind people make the same faces to express the same emotions. 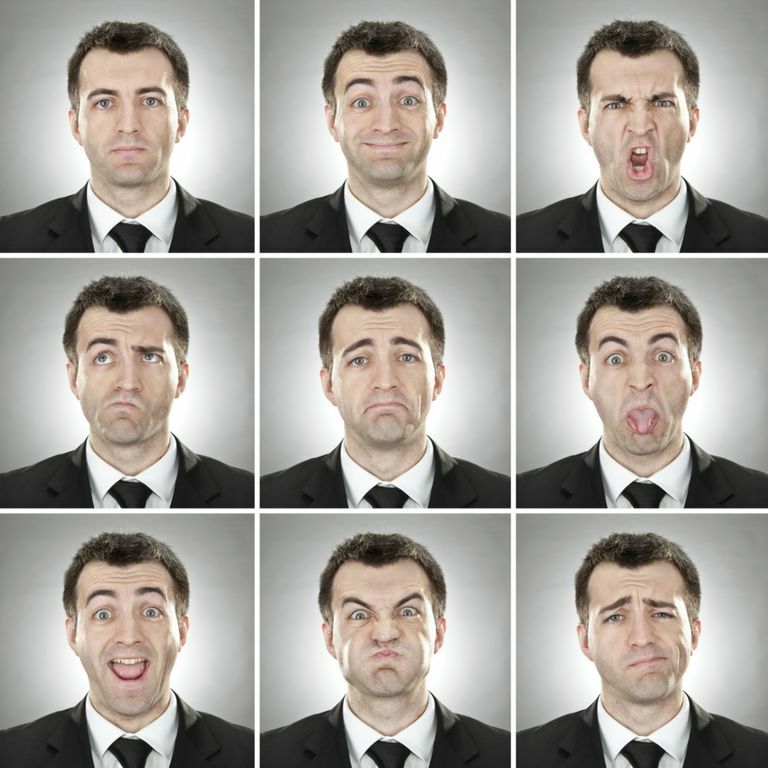 Practice making the facial expressions that go along with these emotions and you will become better at recognizing them in other people. Not all facial expressions stick around for a long time. Those that pass quickly are called micro-expressions and are almost indiscernible to the casual observer. You might be picking up on these micro-expressions if you get a "feeling" about someone. Don't ignore your gut. Eyebrows tell a lot about what a person is feeling. Watch someone's eyebrows to get a handle on how that person is feeling. The only thing more telling than the eyebrows are the eyes themselves. In addition, dilated pupils can indicate fear or romantic interest while rapid blinking might signal dishonesty or stress. If your inability to read facial expressions causes you distress, consider seeking help from a mental health professional to identify the issue and appropriate method of remediation. American Psychological Association. Reading Facial Expressions of Emotion. Science of People. How to Read Faces: Emotion Detection 101.